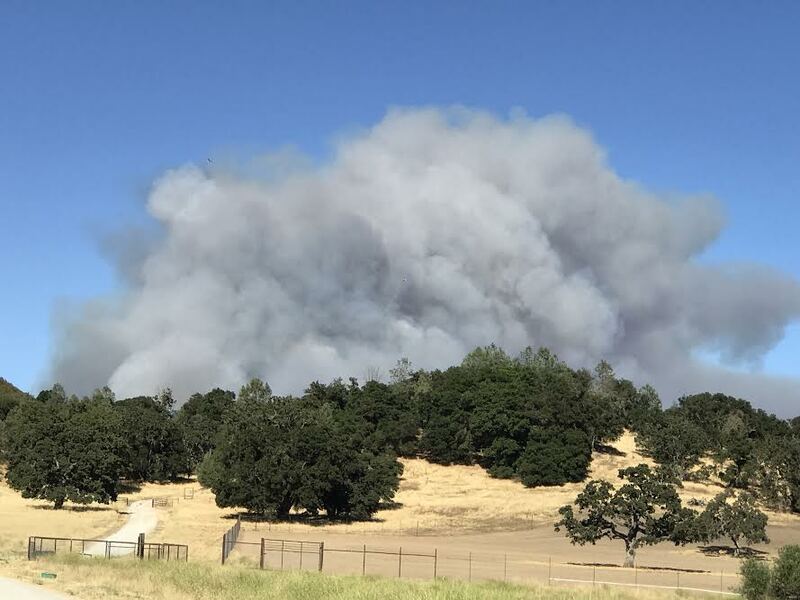 A rapidly moving fire off Highway 58 in rural Santa Margarita has grown to more than 500 acres. The evacuation zone has been expanded to include the area of Huer Huero Road to Highway 58 including Black Mountain Resort Road, Blue Road, Blue Ridge Road east to Shooting Star Road, south to Golden Pond Way and back over to Random Canyon Way. At approximately 3:30 p.m., two fires broke out off Park Hill Road near Rue De Leon. Arson investigators are at the scene. Cal Fire is fighting the fire from the air and the ground. The fire is burning grass and oak woodlands.